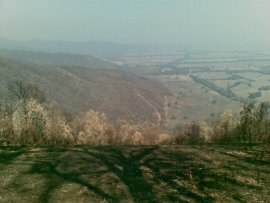 40km SSE of Albury/Wodonga, in the north end of the Kiewa valley. Approximately 39 kms north of Mt Beauty and also 39km, as the paraglider flies, from Bright. Check the detailed access directions. Bob Saville owns the site. The hill is privately owned by Bob Saville, who in 2009 opened it as a free flying site for all. Bob welcomes anyone to fly from the hill as long as the flier is a member of the HGFA, this insures both yourself and him. The hill is not associated with any club therefore no other membership is required. Bob only asks that you follow the normal rules of courtesy as listed below. This site has huge potential with reliable valley winds and thermals. If you fly the hill let people know by posting on the Victorian forums such as Topica, MHGC and NEVHGC forums. Any flying or driving on Savhill property is at your own risk. The hill has a very large N-NW grassy launch and also a newly cleared S-SW launch, which hopefully will eventually become grassy. 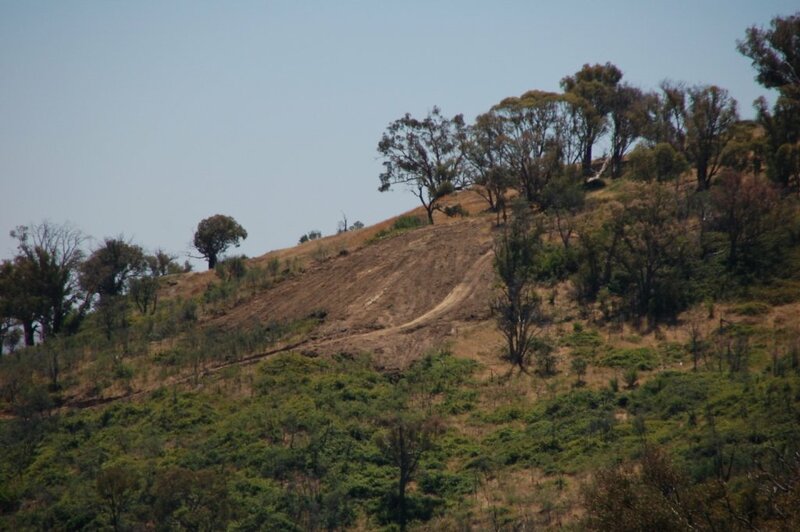 Further clearing will be done to make the top of the hill one big launch area with plenty of parking options. Feel free to clean up the launch area if you are waiting for conditions to improve. For paragliders if you arrive early and the wind is picking up get ready to launch. The wind can be quite strong at midday then eases off aroud 13:30 or 14:00hrs. Thermals come through consistently and its possible to launch from the N even when the wind is from the south. Take care if top landing near the end of the day, the winds can quickly become katabatic and catch you out. This still needs some cleaning up. All the boxed areas are owned by Aaron and Ange Ibbott. They are happy for anyone to land on their property. The power line leads to their house. Take time to have a chat with them if they are nearby. The area to the right is slightly sloping down towards the main road. (That's the paddock you have to drive through to get to the hill.) The paddock to the left nearest the hill is reasonable flat and there is an unlocked gate on the border fence. They ask not to land in the smaller paddock if there is cattle in it. Bob has spoken to all the farmers on the east, hill, side of the main road and as long as everyone behaves themselves they are happy. There are plenty landing options all the way to Mt. Beauty. While on the property have your radio on CH 31, if Bob is there he will be monitoring that channel. It will also be useful for avoiding other traffic, there are not many passing places on the track. Before making a journey either up or down make a radio call to check if there is any other trafic on the hill. This is a new track and it will take some time to find out where wash outs / problems etc will occur so please take care and drive responsibly. If you see any problems on the property with the road/cattle/fences etc please email Bob. 33km north of Seymour on the Hume highway. From Melbourne, turnoff to Locksley airfield is 11 km north of the Avenel caltex roadhouse on the hume freeway. There is a green ‘Locksley' sign to the left. Travel west 2 km to the railway line, cross it then turn hard right down a dirt road, a sign says Gliding center 2.5km. Travel about 1 km and veer slightly left on the same road. The entrance is about 600 m on your right. If the gate is closed, it is unlocked just go through and close it behind you. Leave the gate as you found it. Locksley Field (YLCS) is located 33km north of Seymour on the Hume highway. Freedom Airsports maintain two dragonfly tugs available for towing endorsed HG pilots on most weekends. Contact Peter Holloway and get put on the notification list. Aerotow endorsements can be arranged if you need one. The strip is almost 2km long & 100m wide, ground towing is also sometimes conducted, contact MHGC/FA if you wish to ground tow. The usual plan of action for each day of operations is for training and aerotow endorsements to occur in the early mornings & late afternoons with general tows from midday(ish) onwards. When on the field, cars may be parked near set up unless it is winter and the ground is too soft to drive on, in which case you must set up by the hangars and dolly gliders to launch. Please do not drive thru long dry grass in summer. Avoid parking between the hangars and the kitchen/shower blocks, the tugs need the area to manouvre, refuel, and turn around. Long distance XC flights, and triangles are often completed. A good road system with many townships in the area , enabling easy pickups for those not able or wishing to return to the field. The area is mostly flat farmland to the W,N & S with hill country to the E. Locksley is just on the 10NM boundary to Mangalore airfield located to the SSW. At April 2017, class E airspace LL 8500. A VHF radio is preferred, particularly if heading south to Mangalore. VHF is not mandatory if outside vicinity of a registered or certified aerodrome. The airspace is infrequently used by GA aircraft, movements are few, sometimes GA conduct precautionary circuits, most often they are passing overhead to Mangalore. It is worth keeping alert. The tugs will always provide info to the overflying aircraft and radio HG when necessary. 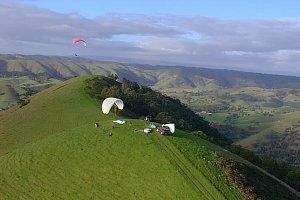 The Melbourne Hang Gliding Club often has fly-ins and club competitions throughout the year here. There are camping, cooking facilities and shower blocks on site, additionally the township of Avenel has pubs and roadhouse eateries. If staying overnight, a small fee is payable to the airfield owner. Near Mt Beauty, 230km NE of Melbourne. Vicroads 50 E4. The launch is difficult to find - a guide is recommended for your first trip to the top. From the intersection of Mountain Creek Rd & The Kiewa Valley Highway, head towards the east. 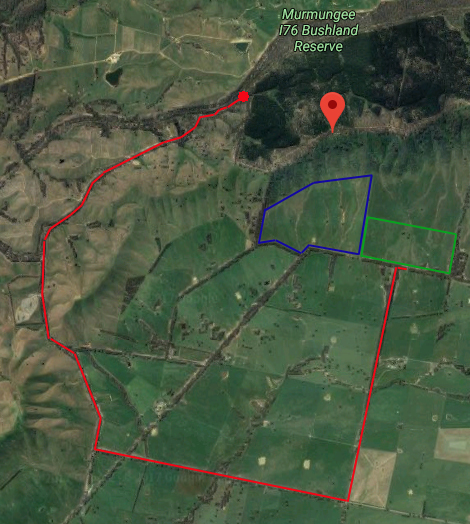 Approx 15km from the intersection you started from and 19km from Mitta, turn hard left at Eskdale Spur Track. Follow this track turning left at the hut junction (4km) and straight on at the overhead powerline junction (another 3km). The distance from the Highway is some 20km and will take approx 40 minutes. The track is two wheel driveable but take it slowly if you don't have much ground clearance and/or have street tyres. The original rocky 4wd track is still available but will take longer if its not overgrown. Check the map or download this GPX file of the track to launch. Vic Govt, DSE (Dept Sustainability & Environment). This site is licensed to VHPA, Refer DSE Licence on VHPA 'downloads' page. 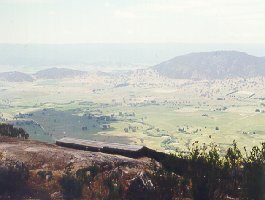 Mt Emu is a large mountain ridge overlooking Tawonga in the Kiewa Valley. It is the highest mountain launch in Victoria. A weather station has been installed on launch. 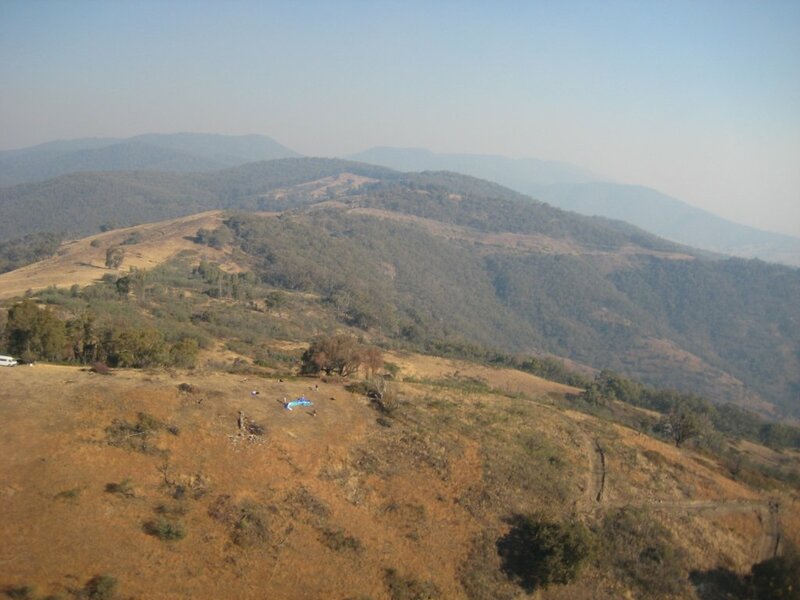 The setup area is a clearing used as a helicopter drop area for fire fighting teams. The Emu 1 launch itself is an earth ramp with a tree slot. Ensure the wind is straight before committing to launch. When launching, ensure you have excess air speed to help you counteract any turbulence. A mistake on launch is likely to result in an impromptu tree landing. 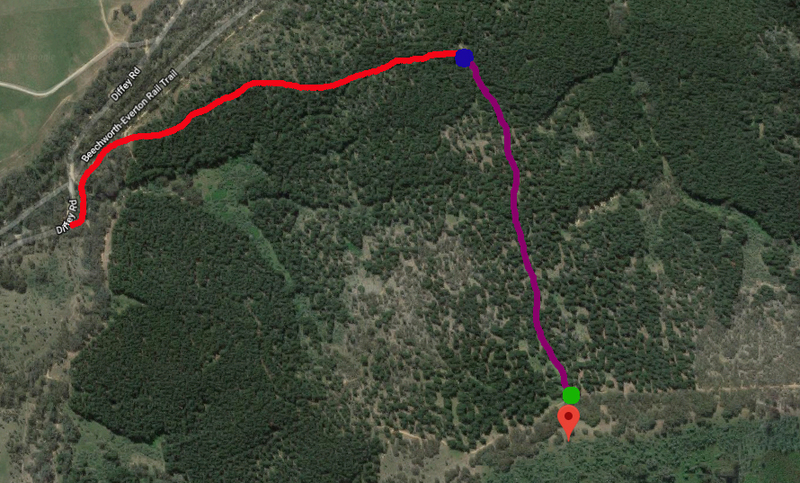 (NW) Emu 2 is approximately 500m further along the track from Emu 1 launch (4WD advised). It is a smaller tree-slot launch. Again, here too ensure the wind is straight and your run is fast. 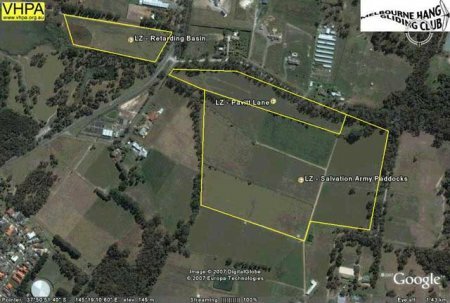 Landing areas are plentiful in the Kiewa Valley but there are some landowners which don't want us to land on their properties. It is best to check the map and/or speak to the local pilots before flying. It is essential that local landowners are not antagonised. 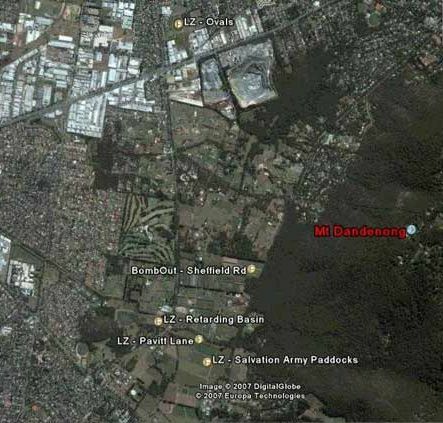 Currently, the closest two landing paddocks for Mt Emu are Baird's and Granma Roper's - see the map for locations. Baird's is not visible from either launch and can have horses in it. If you must land there, just land away from them. This is the ONLY paddock where it is ok to land near horses. Granma Roper's is a better LZ for HG and is visible from Emu 1 albeit further away than Baird's. Baird's might suit PG's better. There is a power line running north-south along the eastern boundary to Granma Roper's. Ensure you inspect it before landing there and when you do give yourself enough height when arriving to keep clear of it. If landing at Grandma Roper's don't fly low over the triangular paddock immediately east, as there can be horses here. The recommended approach is to keep to the south of the Mountain Creek Rd bend when approaching to land into the north or west avoiding the horse paddock and powerlines as well. The Mt Beauty airstrip is a good place to land but watch for glider and GA traffic. If arriving high, lose height and land on the west side of the runway only. Gliders will do the same on the east side. 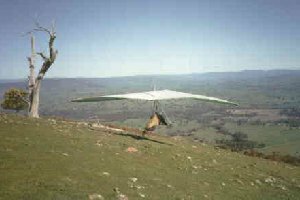 Be aware that gliders may be towing into the north using a stationary winch. In that case, stay clear of the airspace immediately above the airstrip until the glider has released and the cable has been wound in. Once airborne it is best to stay on the ridges to improve your chances of locating thermals. 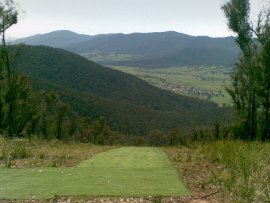 Since the launch is at the Mt Beauty end of the Kiewa Wall, you can follow the ridge for about 40km to the NNE. This is especially convenient for out and return flights. Flying in the other direction is limited as the valley ends at Mt Beauty after about 5km. 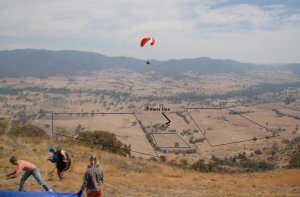 Extensive cross country flights are possible by working up the Kiewa Valley, or by crossing over in the direction of Bright (noting there is a large stretch of trees for several km in this direction and also unlandable paddocks). Near Corryong, 320km NE of Melbourne. 130km E of Albury.Vicroads Map 37 F4. This site was licenced by Parks Victoria to the VHPA via HGFA. The original wooden ramp is in the process of being replaced. Launches (with care) can be made from the rockface. Good thermals are generated in the valley below and channelled up the valley to the left of takeoff. A proposal has been submitted to PV in March 1999 to rebuild the launch ramp and remodel the set up area. 115km ENE of Melbourne. Take the Mt Terrible, two wheel drive, access track 15 km N just outside Jamieson. Nearest landing Kevington, 5 km to the ENE. Near Bright, 220km NE of Melbourne. Approximately 3.5 hours drive from Melbourne in the Victorian Alps. Vicroads Map 49 H6. Landing is leased to local club. Mystic Hill is an excellent site which is often on because it faces the valley wind and cooks up some strong thermals. It is located 2Km south of Bright just off the road to Wandiligong. 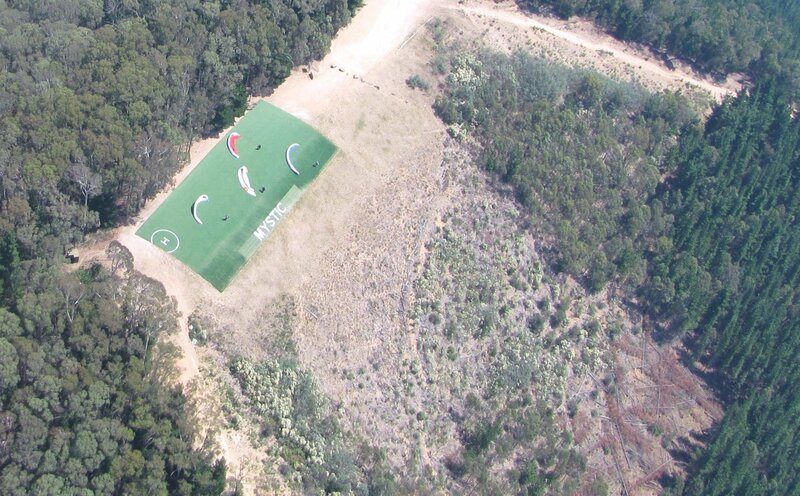 One of the most popular Victorian Inland Sites which has hosted numerous state, national competitions including a Paragliding World Cup event in 1998. There is a weather station on Mystic Hill. A Mystic flying pass must be purchased before using this site, and can only be obtained over the NE Vic HG club web site at www.nevhgc.net. A Paypal account or credit card is necessary. Flying Information can be obtained by meeting local pilots at the bomb-out on the Wandiligong road or at the Outdoor Inn camp site. For accomodation there is a backpackers in town (which also acts as a local flying centre), the Outdoor Inn not far from the landing ground, and numerous other types of accomodation are available. There is also a hospital in Bright (should it be needed!). Take off is right next to the road and is unobstructed as all pine trees have been cut down over the entire face of the hill. It boasts the safest launch area (about 100m wide) of all the sites in this region. If possible, have one of the numerous local pilots show you the site for the first time as there are some shortcomings which have caught many pilots off guard. At T/O the landing paddock cannot be seen as it is shielded by the spur to the east. It is a good idea to survey the landing paddock first and then on the drive up, stop as you round the spur and sight it again from above before you fly. The main bombout for hang gliders is across the Wandiligong rd, east of the smaller paddock. Look for the stile over the fence. The main dangers are the trees (normally) upwind producing turbulence, as the valley breeze blows most of the time from the NW. Expect turbulence on any normal summer's day. Waypoints for the Bright area can be found here. Near Mt Beauty, 220km NE of Melbourne. 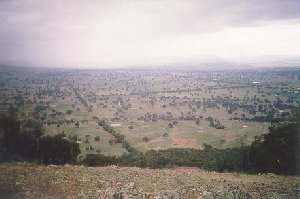 Overlooking Tawonga. To find the launch travel the road between Bright and Mt Beauty at the very top of the ridge crossing the road switchbacks and heads down the other side of the ridge. At the switch back, take the track up the hill located right on the blind corner. Be careful driving in or out of this track. The launch is located approx 1km up on the left of the track. Vicroads Map 50 C5. A tree slot launch on a large inland ridge. 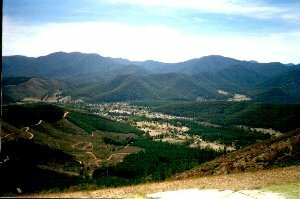 Located on the western side of the Kiewa Valley. Although close to a main road, launch itself can be difficult to find. Its recommended to take a guide with you. There are 2 lookouts on the Bright Gap Rd. To find launch, locate the higher lookout (it has a viewing ramp sticking out from the ridge and a round shaped parking area). Opposite the lookout, drive up the steep rocky dirt track from the hairpin bend in the main road for about 1km. The first part of the track is very rough and needs care not to ground out your car on the rocks. 4WD is not necessary but a car with adequate ground clearance is advisable. A Subaru Forester or Outback will do it easy. Near the top, there will be a clearing where you can turn the car around. Do this here and drive back downhill 200m or so stopping when you see some steps cut into the embankment on your right. That is the walking track to launch. Be careful driving in or out of this track. Watch for traffic as the intersection with the main road is a blind corner! Launch is an earth ramp through a tree slot. The Tawonga Gap LZ, Iaria's Paddock, quite often has stock in it and the trees around the southern boundary have gotten quite tall. There is a fence running west to east dividing the paddock in half. It is highly recommend pilots have a good look at it before committing to land there and before travelling up to launch. 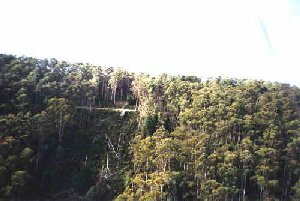 Hang gliders generally land at the Mt Beauty airstrip instead. The landing paddock is out of sight when on launch. It is located along the eastern side of the Kiewa Valley Highway travelling into Mt Beauty township approximately 1km from the Bright turnoff. 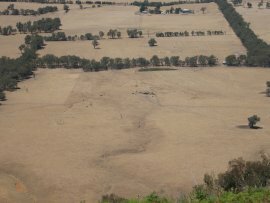 This site is often 'on' much earlier than Mt Emu located on the opposite of the Kiewa Valley. 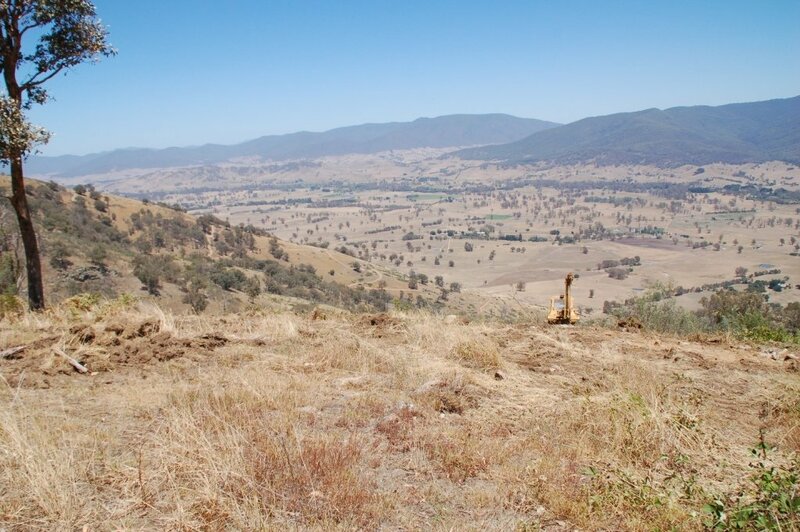 Much like Mt Emu, the entire Kiewa Valley and beyond can be explored. Crossings to Bright and Mt Buffalo are possible. The LZ can't be seen from launch. High tension powerlines run along this side of the valley and are visible from launch. Near Mansfield, 120km NE of Melbourne. Near Mansfield, overlooking Lake Eildon. Approximately 5km past the Maindample Pub (or 9km before Mansfield) enter the gate opposite 'The Paps' signpost. The land is private property so do not stray from the track. Follow the track through the paddock (to the right of the quarry), till a second gate at the entrance to 'The Paps Scenic Reserve'. About halfway up the hill, the road forks. Left to the N & W launches located at the telecommunications towers, right to the E, SW, S & SE launches located near the firewatch tower. Vicroads Map 62H2. Parks Victoria - This site is licenced to VHPA via HGFA. Large double hill. Launches are suitable for hang gliders or paragliders. 4WD access only (as at Nov 2013). N, W & SW are ground ramp launch through tree slot. The E, S & SE are open ground ramp. 1. Northerly takeoff, 1130' AGL (above bottom LZ). 2. South & SE takeoff's (170' lower than North), 1320' AGL (above bottom LZ). 3. East (300' lower than North) (130' lower than South), 1190' AGL (above bottom LZ). 4. SW (430' lower than North) (260' lower than South), 1060' AGL (above bottom LZ). The surrounding country consists of rolling hills with many trees. Landings can be made anywhere you can find a location large enough, however beware the many trees and powerlines and be aware you may have selected a downslope. Familiarise yourself with the local area before flying. The Northerly launch has a LZ immediately in front of launch. It is recommended that all pilots assess the suitability and landing approach options of this LZ, specifically considering, the slope of the ground, obvious obstacles, and the expected wind direction on landing. Alternate outlanding LZ's may be available but please check with locals and consider the nature of the local terrain. To get to any alternate LZ's you may need to fly across roads, trees and/or power lines. The South, SE, East, and SW takeoffs use the same bottom LZ (currently the dry lakebed). This LZ cannot be clearly seen from the E and SW takeoff's, so it is IMPORTANT that new pilots are shown these on the drive up the hill, so they have a clear location and visual picture of this prior to launching. On the eastern face there is a TWO-STRAND POWERLINE running from the top to the bottom of the hill. You should have a clear understanding of the location of this hazard prior to flying. Near Leongatha, 120km SE of Melbourne. This site is a couple of kilometres south of the highway. Take the third turn off to the right in Yarragon. Then turn next left until you reach Old Leongatha Rd. This takes you to the top. Vicroads Map V97 C5. The takeoff land is privately owned and you must get permission to fly. The house is on the left hand side near takeoff. The bottom land owner, Mr John Harvey, must also be contacted before takeoff. A low rolling grassy hill, south of the township of Yarragon. A SEVERE HAZARD exists in the landing area. There are two power lines running through the paddock. One is in the MIDDLE of the paddock running parallel with the road and the second runs to the water pump building. Land before the power lines if in doubt.